"You are such a natural gran!" I thought to myself, "Hey, that's exactly what I want to be!" I also want to crystallize all the healthy eating and lifestyle information that we have accrued in this family through the years. I want to model this, but I also want to 'follow my own advice'. I want to practice a natural, healthy way of living so that I can be around to enjoy my grandkids and everyone else I love for many healthy years to come. To knit the qualities that you loved most in your own Granny with what you have dreamed of and read about of the most amazing qualities of the Boomer Granny-- and to be totally natural. Non-toxic wit and fresh wisdom from a natural gran. Here is a health assessment that will advise you on possible health issues you are facing and the excellent, green, safe, high quality products to address these issues. Grand Remedies are those magical potions and health-giving protocols that natural grannies have known and practiced throughout the ages. These are some of the grand remedies that I use. Builiding a healthy house is necessary for a natural gran-- grandchildren need to be sheltered somewhere green and natural. A number of healthy fitness tips for natural grannies to keep in shape and enjoy their longevity with their grandchildren. Together Time gives a list of safe, natural, organic, fun, educational, memorable, loving, attaching activities for grans and their grandchildren to engage in. Organic Gifts Online for that Organic Mamma (your partner, your lover, your adult daughter, your Mom?) who is so busy nurturing and keeping everyone else healthy and happy. 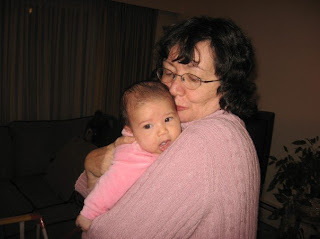 Here you will find ideas in how to connect with your grandchild on the internet and suggestions for computer activities that are fun and excellent learning for both of you in your 'together time'. Would you like to share your knowledge about being a grandmother? Great, find out how you can submit your story or tip here.